Hyper Recruitment Solutions (HRS) is pleased to renew their membership with the leader in the Life Science and Healthcare communities, One Nucleus. As a recruitment company who specialise in scientific roles, this valued membership will continue to provide HRS with an excellent business platform to help retain scientific experts within the industry. Moreover, through key networking events and conferences, we believe our membership will allow us to be a part of the One Nucleus Life Science Community thus providing HRS with the opportunity to share knowledge and ideas with many likeminded companies and organisations. 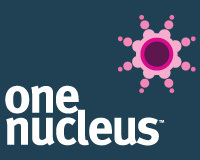 One Nucleus', mission is to maximise the global competitiveness of their members and to be the top European life science and healthcare network. For their science and technology-based members, that means being global leaders in the research, development and commercialisation of healthcare innovations that radically improve the quality of people’s lives around the world. Similarly, HRS’ vision is to provide recruitment solutions which will assist in the improvement and quality of life for all. In doing so HRS has a clear focus of further promoting and supporting the Science & Life Science sector whilst helping to retain key talent across the industry. OBN is the trade association supporting and bringing together the UK's emerging life science R&D companies, their corporate partners and their investors. Their mission is to be recognised as Europe’s premier life science network. Their 220 member companies are located across the Golden Triangle and beyond and benefit from their provide networking, partnering, purchasing, advising, and advocacy activities. HRS are really pleased to be members of OBN and are positive this membership will help to further our interest in becoming a leading name in the Science & Life Sciences Community. As a company that provides specialist science jobs, this valued membership will provide HRS an excellent business network to help to position scientific experts within this industry. Ricky Martin, Managing Director of HRS, says ‘I am very passionate about HRS being known not just as a recruitment consultancy but a real part of the Science industry. At key networking events and conferences I believe, our OBN membership will enable us to share knowledge and ideas with many likeminded companies and organisations. HRS will be attending the BioTrinity conference - Europe's Premier Biopartnering and Investment Conference, which is being held on May 14th - 16th 2013 Newbury Racecourse, Newbury, Berkshire, UK.